It feels good to lounge in the sunshine, but it can hurt your health in the long run. Over the years, too much time outdoors can put you at risk for wrinkles, age spots, scaly patches called actinic keratosis, worsen hyperpigmentation, melasma and can cause skin cancer. A tan may look nice, but that golden colour is due to an injury to the top layer of your skin. When your skin expose to sun's ultraviolet (UV) rays, it speeds up the aging of your skin and raises your risk of skin cancer. To prevent damage, use a "broad spectrum" sunscreen that is SPF 30 or higher. When your skin over-exposed to sun without the protection of sunscreen, your skin turns red, it feels hot to the touch, and you may have some mild pain. The sun's rays can make you look old. Ultraviolet light in daylight damages the fibres in your skin called elastin. When that happens, it begins to sag and stretch. You get these on areas of your body that are exposed to the sun. They are small spots of pigmentation. Some skin cancers in the earliest stages can look like one. You may need to consult a doctor to determine the nature of the pigmented spots. This shows up as dark or brown patches on your cheeks, nose, forehead, and chin. It's common among women who are pregnant, but men can get it too. Use sunscreen at all times if you have melasma, because sunlight can make it worse. These pesky brown or gray areas aren't really caused by aging, though more of them show up on your body as you get older. You get them from being out in the sunlight. They often appear on your face, hands, and chest. Whitening creams, acid peels, Retin-A products, and light and laser treatments can make them less obvious. They don't harm your health, but check with your doctor to make sure they're not something more serious, like skin cancer. These red, brown, or skin-coloured patches are small and scaly. You get them from being out in the sunlight too much. They usually show up on your head, neck, or hands, but they can also appear on other parts of your body. They can sometimes turn into squamous cell carcinoma, a type of skin cancer. Squamous cell carcinoma can be cured if you get treated early. Unlike "invasive" squamous cell carcinoma, Bowen disease is early stage of skin cancer and it doesn't spread to the inside of your body. It looks like scaly, reddish patches that may be crusted. Basal cell carcinoma spreads slowly. The tumours can take on many forms, including a pearly white or waxy bump, often with visible blood vessels, on the ears, neck, or face. A tumour can also appear as a flat, scaly, flesh-coloured or brown patch on your back or chest, or more rarely, a white, waxy scar. It's not as common as other types of skin cancer, but it's the most serious. Possible signs include a change in the way a mole or coloured area looks. The best way to avoid sunburn, wrinkles, skin cancer, and other damage is to stay out of the sunlight, especially between 10 am and 2 pm, when the sun's rays are strongest. If you need to be outside, use sunscreen, wear a hat and sunglasses, and cover up your skin with clothing. For more information on any skin condition, please make an appointment with our doctor: For appointment, please call Aileen at +60192220623. 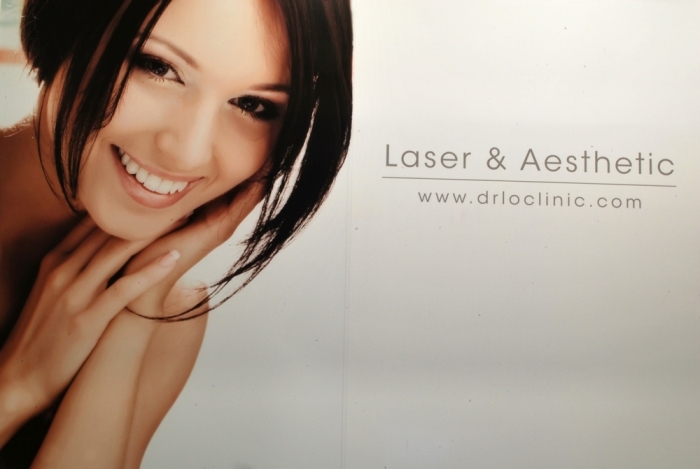 You can visit us at our aesthetic clinics at IOI CITY MALL or KAJANG. We have wide range of cleansers, creams and medications for various type of skin diseases. Our centres have many good and effective sunscreens to help protect your skin from been damage by sunlight. Our centres at Kajang is conveniently located to serve you if you are from Kajang, Bangi, Semenyih, Cheras, Sg Long and Cheras Mahkota areas. Our aesthetic centre at IOI CITY MALL, PUTRAJAYA is strategically located to serve customers from Putrajaya, Cyberjaya, Puchong and Serdang. Our centre at IOI City Mall, Putrajaya is the only aesthetic centre at Putrajaya and Cyberjaya region that is dedicated to provide medical aesthetic services such as PRP, Laser, Botox injection, Filler injection, Chemical peel, Hair removal, Micro-needling, Body slimming, Laser facelift (Accu-lift or accusculpt lift) and many other aesthetic services.